Home / News / Miss Earth organizers reply amid 'harassment' controversy on candidates: "They opted to go to social media and discredit the organization"
Miss Earth organizers reply amid 'harassment' controversy on candidates: "They opted to go to social media and discredit the organization"
Miss Earth is an annual international environmental-themed beauty pageant promoting environmental awareness, and this year beautiful candidate from different countries around the world came in the Philippines as the host for this yearly event. 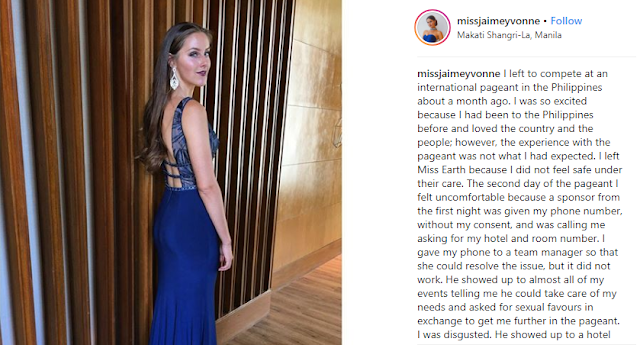 Recently, three contestants of Miss Earth have accused a 'Filipino sponsor' of Miss Earth have allegedly harassed them during their stay in the Philippines. Miss Earth-Canada Jaime Yvonne Vandenberg, Miss Earth-England Abbey-Anne Gyles-Brown, and Miss Earth-Guam Emma Mae Sheedy all shared in their social media accounts how excited they were to compete and to enjoy the Philippines, but it was ruined by a pageant sponsor's alleged sexual requests. The candidates unnamed the sponsor that offered them to go at Boracay in exchange of sexual favors. 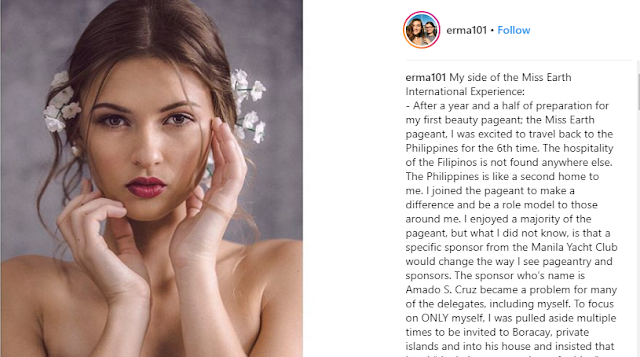 However, Miss Earth-Guam Emma Mae Sheedy said the Filipino sponsor, whom she identified as Amado Cruz whom has grabbed her backside during the National Costume Competition, but told her not to tell anyone about it. Officials of the Manila Yacht Club, where the incident supposedly took place, said Cruz is not a member and could have just been sponsored by a friend who happens to be part of the club. Cruz has been unofficially sponsoring meals and dinners for the women for at least 5 years now since he owns a restaurant near the hotels of the contestants. 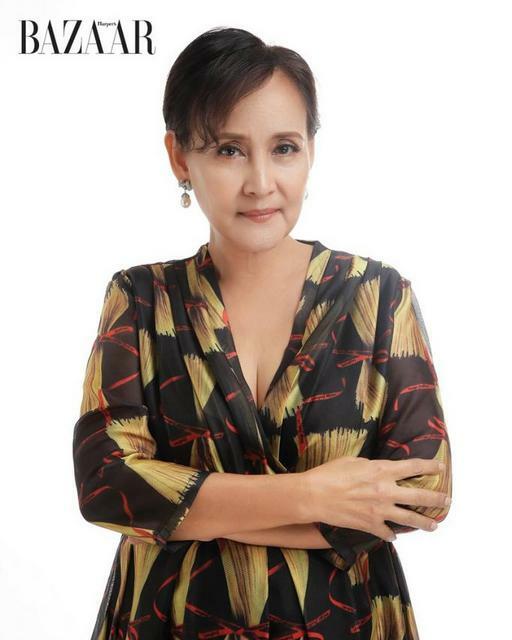 The founder and executive vice president of the production that runs the pageant said in a Facebook post that the Miss Earth organizers is willing to support and help the candidates who allegedly said they have been harassed by the sponsor, however instead of them working together, the candidates prefer to post their experience and sentiments in social media that disappoints Schuck. 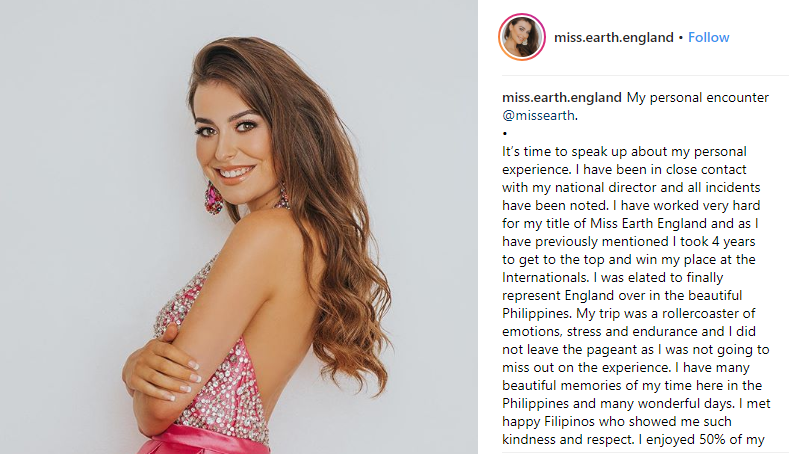 According to the Miss Earth organizers, they have protected the safety of the candidates during their stay in the Philippines since they continuously promote the Philippines worldwide. However, Schuck was disappointed why the candidates opted to air their issues online even if they have already talked about it. She said the organization asked the candidates to file a written statement on the incidents to help them should Vandenberg and Gyles-Brown decide to file a case against the sponsor. "We were ready to support the two in any action they may have wished to take against the individual who offended them. Unfortunately, instead of working together with us on this matter they opted to go to social media and discredit and disparage the organization. 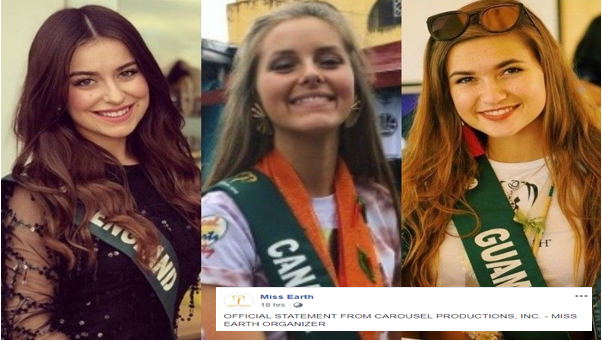 Miss Earth organizers also clarified and denied the allegations of Miss Earth Canada that they keep the passports of candidates on the first day of competition. Miss Earth organizers denied her allegation, saying they only keep the passports for safekeeping. "Miss Earth organization does not confiscate passports of delegates. Incidentally, Miss Liberia who was supposed to fly back to her country last November 5 was not allowed to fly because she had misplaced her passport. " 6. The Miss Earth organization has always and continues to look after the safety, security and welfare of its candidates. It has not and will never condone nor tolerate any offensive or indecent acts or behavior to be committed towards or against any of its delegates and staff."